A New Zealand fightback wasn't enough to beat an understrength Australian Diamonds outfit in a 53‑50 loss at London's Netball Quad Series. 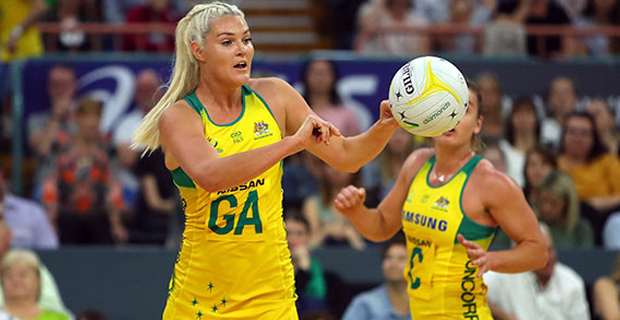 The Diamonds kept their eight‑goal advantage when leading 27‑19 at the main break. Seasoned campaigners Laura Langman, Maria Folau and Casey Kopua delivered telling performances for the Silver Ferns. The Silver Ferns will meet South Africa Proteas in their final match of the Netball Quad Series tomorrow morning. Meanwhile, Commonwealth Games champions England lost 48‑45 to South Africa in their second Quad Series match. England face Australia 6am tomorrow morning while New Zealand will look to close their series with victory against South Africa at 3.30am tomorrow morning.